Religious beliefs have shaped the history of the world. Their effect can be seen in culture, philosophy and politics, and they have inspired people to serve others and to create great works of art, architecture and music. Yet differences in belief can cause bloodshed and war. Never before has it been more urgent to understand the great religions if we are to make sense of our 21st century world, its achievements and its conflicts. This new, revised edition of Beliefs That Changed the World tells the story of the major faiths from their earliest beginnings to their present day impact. 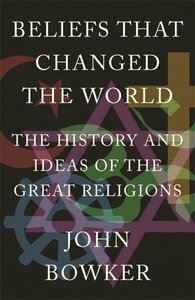 About "Beliefs That Changed the World: The History and Ideas of the Great Religions"